Also Plays Under: Cates spends most of his time playing on Full Tilt Poker, but he also plays on Pokerstars under the alias of "w00ki3z." 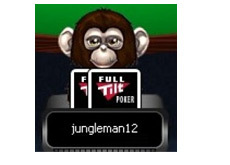 Online Notes: "jungleman12" got his start by playing $5/$10 SNGs. Eventually Cates made the switch to $0.25/$0.50 NLHE, and found that he was especially strong in HU games. Within a year, "jungleman12" had moved up to $10/$20 and was doing extremely well for himself. "jungleman12" has continued to move up since that time, and is now a regular in some of the largest online cash games. As a matter of fact, "jungleman12" has logged a large number of hands against Tom "durrrr" Dwan and done very well for himself. According to PokerTableRatings.com, Daniel "jungleman12" Cates is up about $2.1 million since May of 2008 on Full Tilt Poker. 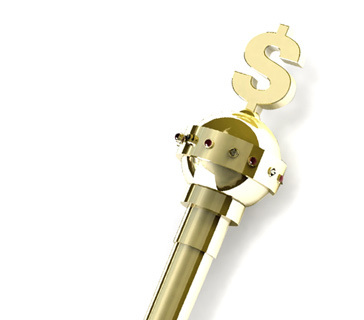 This profit has come over a total of 753,566 tracked hands. "jungleman12" is strong in both NLHE and PLO - of his estimated $2.1 million in profits on Full Tilt Poker, $1.65 million has come from NLHE, while the remaining $487k has come playing Pot Limit Omaha. The game of choice for "jungleman12" is $25/$50 NLHE HU, where he has made a total of $657,884 over 143,848 tracked hands since May of 2008. According to Bluffmagazine.com, Daniel "jungleman12" Cates does not spend that much time playing in online MTTs - he has just $26,710 in total tournament cashes on FTP. "jungleman12" clearly prefers the cash games. Live Notes: Cates is not yet old enough to play in Las Vegas, so he doesn't have much in the way of live tournament cashes. As a matter of fact, he has just one cash - a 12th place finish ($9,085) in a $1,500 NLHE prelim event at the 2010 PCA (Pokerstars Caribbean Adventure). Other Notes and Info: Daniel "jungleman12" Cates is just 20 years old. Cates recently started making videos for Cardrunners.com and also maintains a blog on the site. You can read it here. "jungleman12" may be one of the next players to take the "durrrr Challenge"
Cates was working at McDonald's full-time just three short years ago ('07) - now he is playing in some of the largest poker games online. Could The "Durrrr Challenge" Actually Resume in 2017?